AA has a lot of slogans, known as “truisms,” that are good to remember when you’re in recovery. It’s always good to have slogans and reminders whenever you’re struggling with either an addiction or your mental health. Now The Mighty has taken a look at a number of people who have tattooed their favorite slogans about anxiety on their bodies, and how it helps them stay calm. 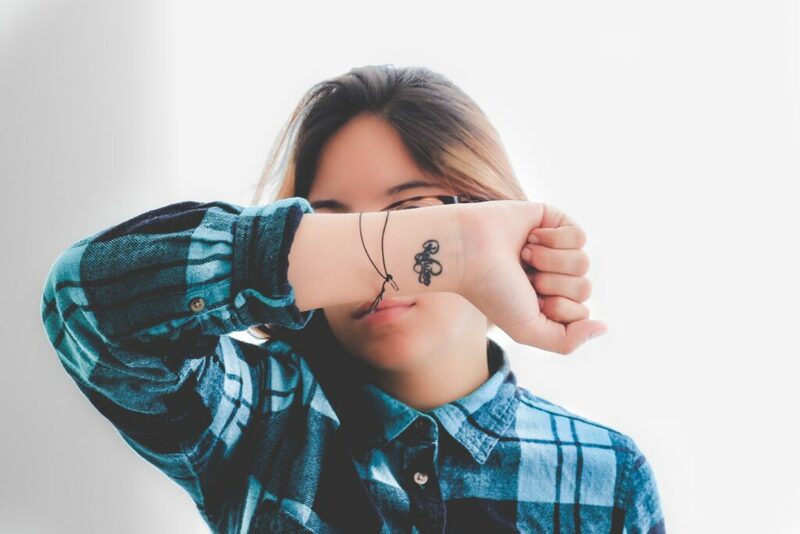 The Mighty reached out to people via the web to share tattoos that reflect their mental health struggles. One girl with green hair had the words “insecurity’s an evil thing” tattooed on her arm, and it’s a lyric from a song called Everything That Means Nothing. The tattoo is a reminder “to try not to listen to any of my insecurities,” the girl says. Another woman named Charlotte got a cartoon version of Princess Leia tattooed on their back. Leia is staring down the Death Star with R2-D2 at her side, and Charlotte got her tattoo after Carrie Fisher died.